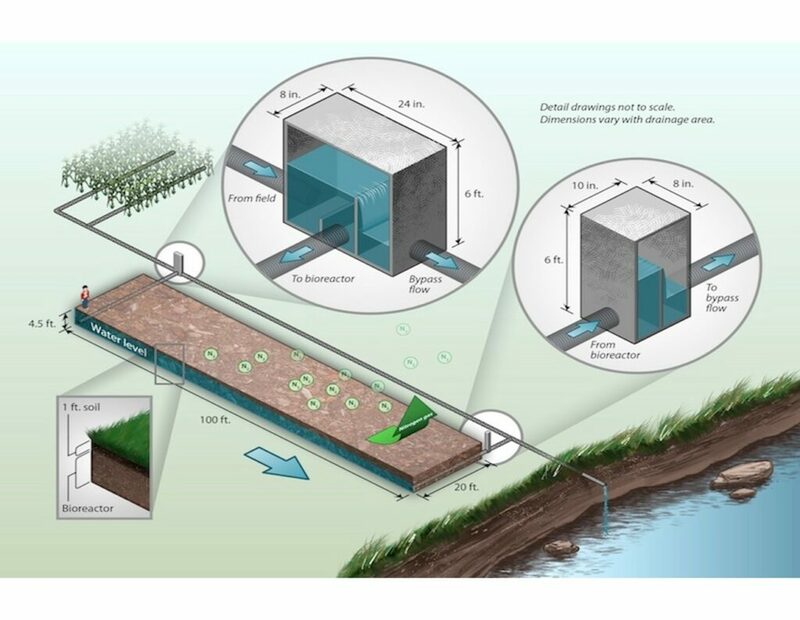 Bioreactors are an edge-of-field (EOF) practice that utilize a carbon source, typically wood chips, to spur denitrification from nitrate laden tile water. They work by using a control structure to divert a portion of the tile flow through the underground bed of wood chips. 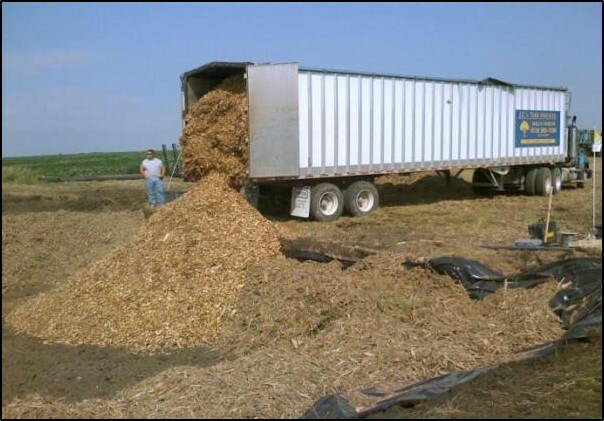 The water saturates the wood chips creating anaerobic conditions suitable for denitrification. Current bioreactors are designed to have a 3 – 8 hour retention time and treat 15% of the expected peak flow from the tile system. Typically installed on 30-100 acre drainage systems. It is important to install on tiles with consistent flow. Bioreactors often treat drainage systems with 6 - 10 inch mains. Size of bioreactors vary with the capacity of the tile system they service, but on average they are around 100 feet in length and 20 feet wide. Performance varies based on distribution of rainfall. Bioreactors perform best under base flow conditions. The Iowa Nutrient Reduction Strategy shows that bioreactors remove an average of 42% of the nitrate load. Denitrifying bioreactors are eligible for financial assistance through the NRCS EQIP Conservation Practice Standard 605 as well as through the FSA CLEAR initiative. Your state may also have state or private funding available. For more information, please refer to the ADMC Financial Assistance page.